Every project has some repeating tasks that you need to regularly do or maintain. It can be a hassle to remember and manually create them every time. 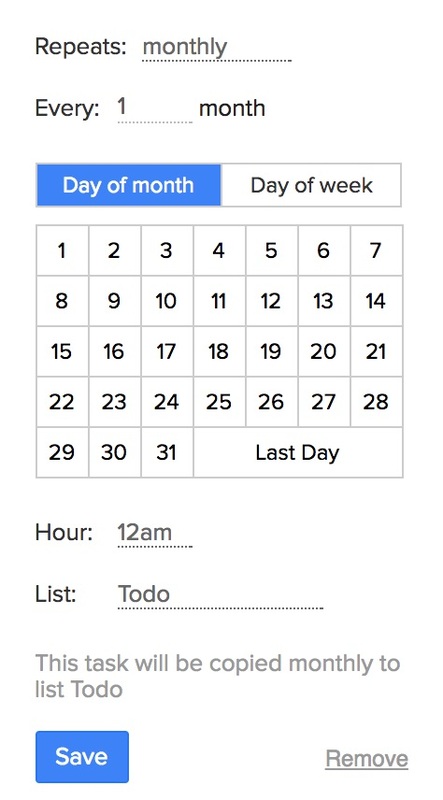 To help you with that, we are happy to announce recurring tasks feature. No more tedious task duplication, let Breeze create them for you. You can find the recurring settings in the task side menu. There are so many ways automating task creation can free up your time. Set reminders about reports, end of month accounting, marketing campaigns, schedule meetings, weekly Scrum sprint tasks and more. 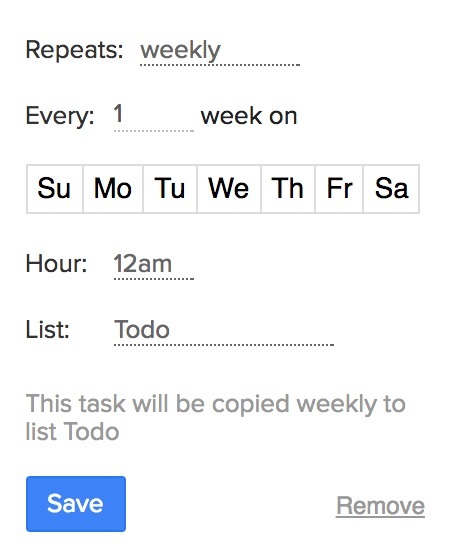 You can set to create new copies of tasks daily, weekly or monthly. One good way to use this feature is to create a new list for recurring tasks and then hide the list from project board to keep it from taking extra space. That way you can keep an eye on the recurring tasks. 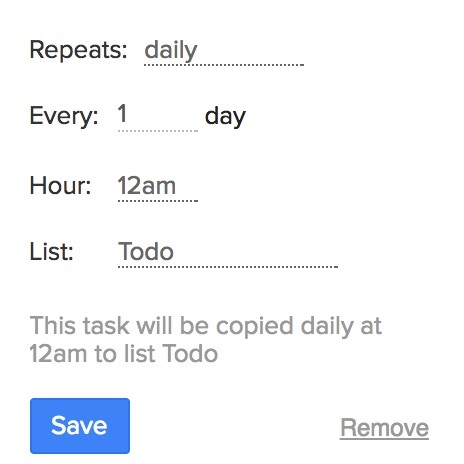 The recurring task will copy everything from the original task except comments and time entries. 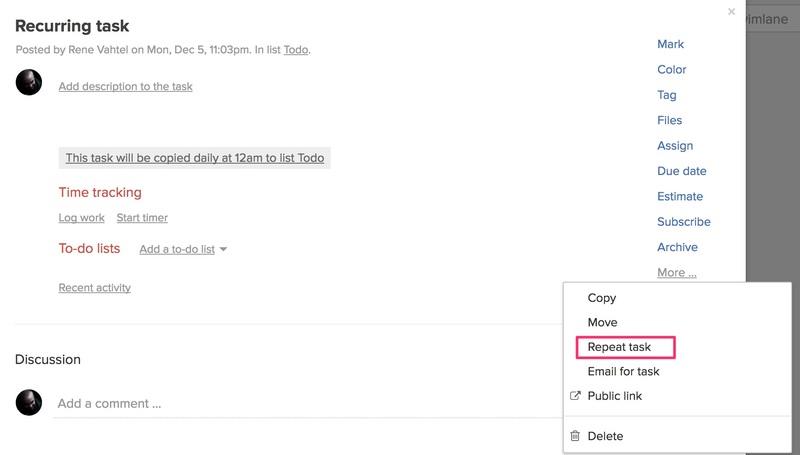 The recurring settings are removed when you delete, move or copy the task to another board. Archived tasks will keep the recurring settings. This is a handy way to automatically create tasks and keep the project board clean.